A very stylish evening cane. 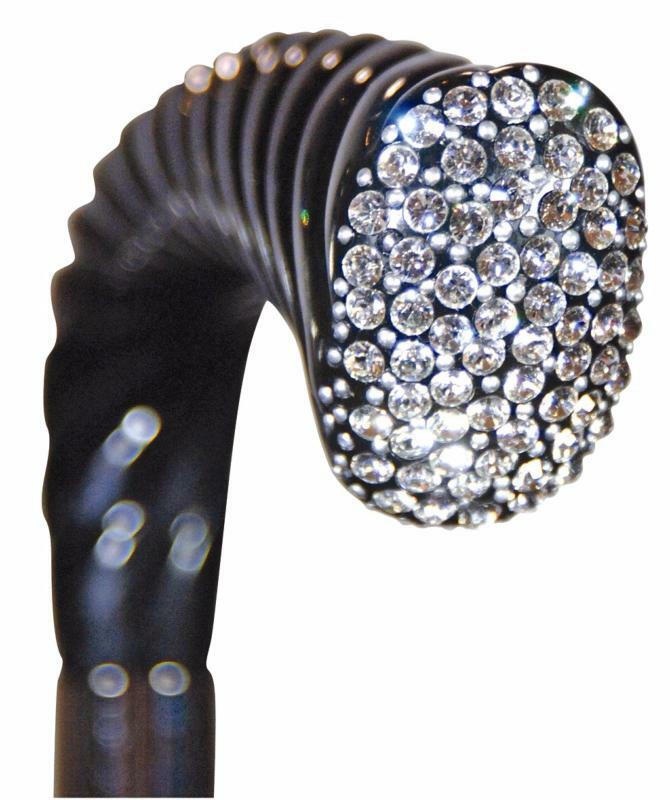 The end face of the twisted, black crutch handle features pavé set Swarovski Elements. Mounted on a black hardwood shaft and fitted with a non-slip black rubber ferrule. The overall height is 92cm (36"). Ferrule diameter 16mm.